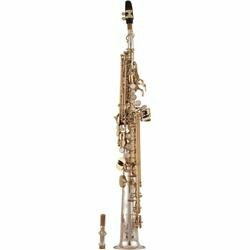 The demands of the contemporary music scene call for a tenor saxophone of exceptional expressive, dynamic and tonal range, exigencies easily filled by the Yanagisawa T-991. Its state-of-the-art design and playing characteristics allow the player a unique sound. 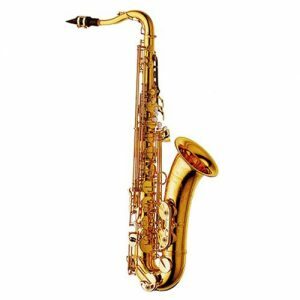 Yanagisawa’s sway free F-auxiliary and low C-sharp mechanism is featured, as are contoured independent palm keys, a three-point bell brace and rib-mounted upper and lower stack posts, double-action low B and C keys. 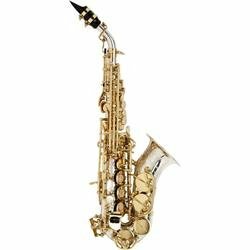 This truly is an instrument for the discerning saxophonist. The package includes a hard shell case, mouthpiece assembly with ligature, cap and mouthpiece, neck strap cork grease and a cleaning swab. The Yanagisawa 991 Professional Tenor Saxophone is an excellent modern horn with a modern sound – and if you’re looking for something that’s crisp and even across the range, then this could be the horn for you.